Show your love for 3/32" Tapered Tang!! Discussion in 'Osprey Knife & Tool' started by Osprey Knife & Tool, Mar 20, 2018. 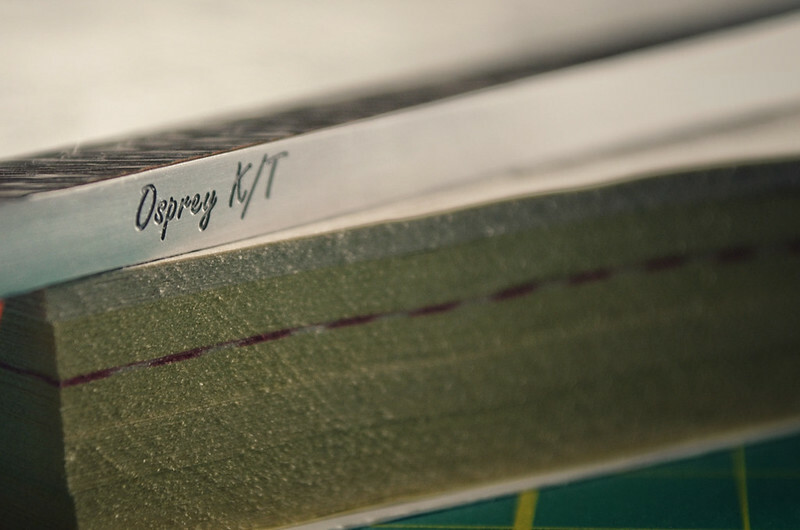 Its no secret that Osprey K/T fans love their thin steel. Especially 3/32" and less. And the thin Tapers allow for neutral balance in the thin steel. Early on when I started grinding 3/32" steel I did not taper them. I was under the assumption that it would not and could not make a difference. I was wrong! I was also not pleased with the balance from the 3/32" SFT and with persistance from you guy's on the Forums and a whole lot of practice a little over a year and half ago I tapered my first 3/32" knife. I noticed the difference and plenty of you did. This is why I continue to Taper my 3/32" because you guy's want it and I CAN!! I know why I like using CPM154! Besides the demand from you guy's the super clean CPM154 I use allows for an extremely fine and tight grain structure supporting thin cross sections and evenly distributed carbides. I have tweaked my heat treat over the years on my CPM154 to bring out the best in this steel. And with hundreds of knives out there getting used daily the proof is in the pudding. Why do you like you thin 3/32" steel with a Tapered Tang? Lets see them! Tapers and All! I think Im gonna taper some 1/16'' for the hell of it. bonafide, Kalsu, RobbieB and 6 others like this. Chris, First and foremost I do not yet possess the fluency to speak about steel types, weights, tapers and balance that others do with such depth. Secondly I love all of the knives you've made that are in my possession (and covet quite a few that are NOT in my possession. I digress). With regards to 3/32 and thinner with extreme tapers I know what I like or need for each (restaurant kitchen) task I have. From the EDU(s) to the Nomad, the Bolad, to the Kiridashi, and one thin taper Mamushi, each has found time in the pro kitchen. CPM154 with your specific heat treat tapers and slip resistant scales makes for knives that are in my view, quality instruments, that require little maintenance outside of stropping. (I do sometimes wish that little Nomad and Bolad would develop some patina.) That's not unusual though just about everyone who owns your knives uses them at one time or another in the kitchen, and no doubt feels the same. @Comprehensivist and @M4Super90 immediately come to mind. That said even the "big steel" blades, 1/8th and larger are beautiful to hold and a pleasure to use. Granted I'm not a bush crafter, as there are no forests here in the Texas hill country. I'll be very interested is seeing what develops in the future! Maybe a one off Gyuto style 10 incher in 1/16 with extreme taper! Tutone and Osprey Knife & Tool like this. For any knife (with a proportional blade and handle of course) to really feel "nimble" in the hand for me, it's got to be pretty equally balanced and it can't be too heavy/beefy in the handle portion or the blade portion. 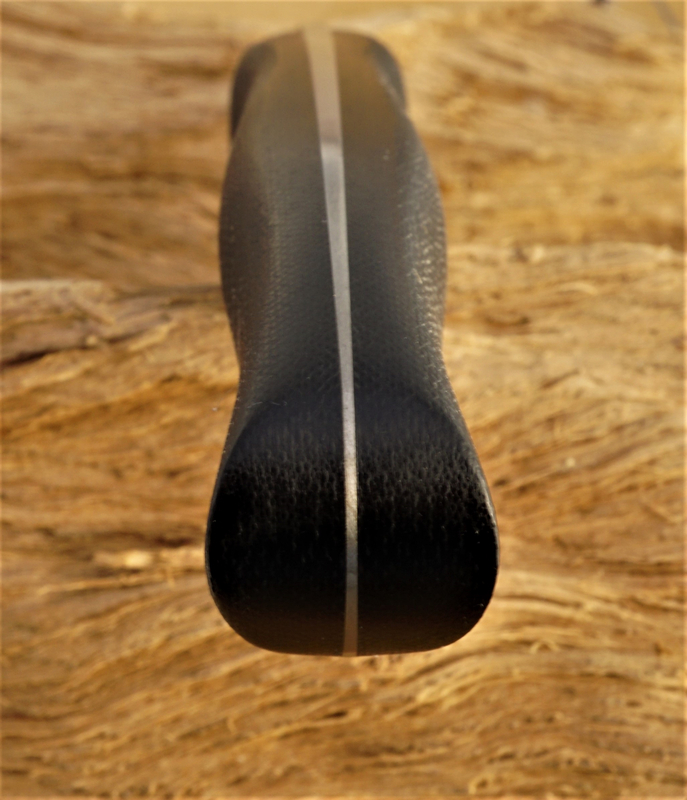 And if you have a thin blade then it only makes sense that the rear needs to be lightened to attain that balance. I've got two 5/32" TT Hunters from Chris that are fairly big knives (to me at least), yet they have outstanding balance, end up being lightweight for their size/blade stock .. and still they are nimble in the hand to me. 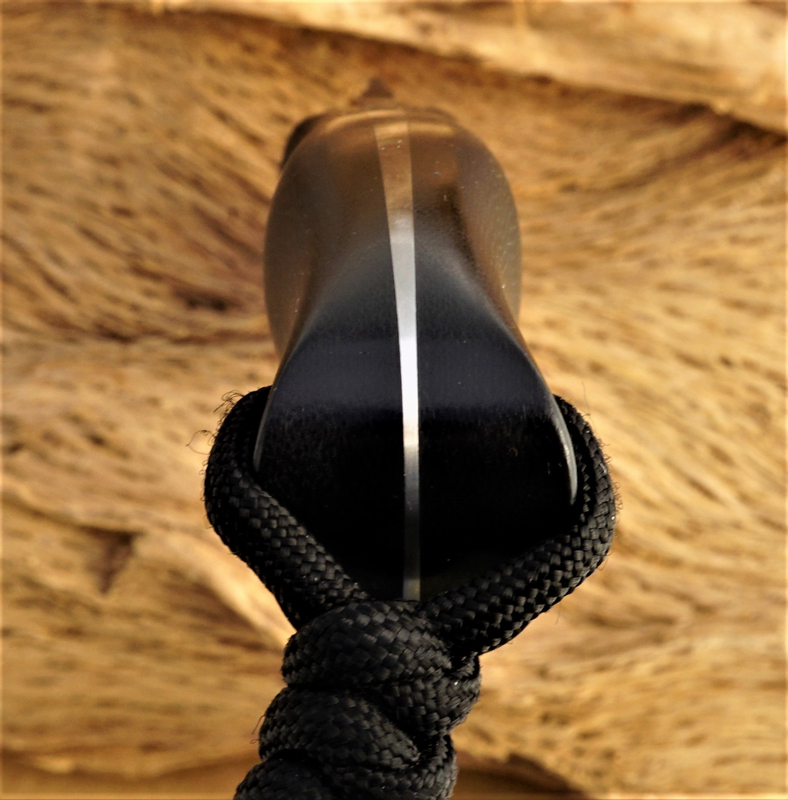 One of these was shared with @pertinux quite a while back and she was pleasantly surprised at the balance in addition to being blown away at the comfort of the handle contours. 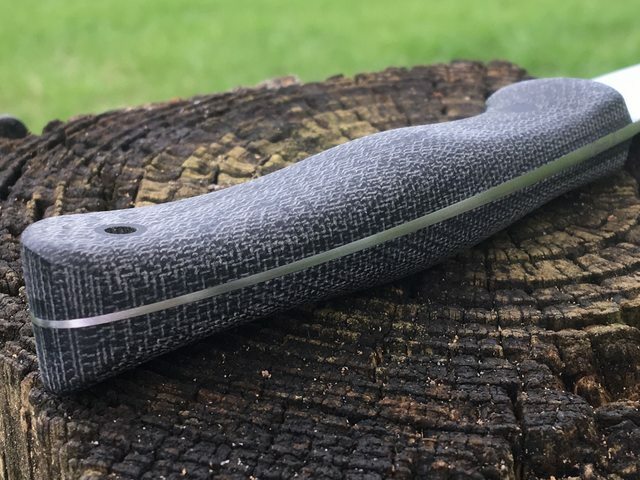 The bog oak Hunter was my first OKT that I scored remotely via IG from his 2016 Blade Show table. That was nearly 2 years ago so it's not like that balance concept is new to Chris, it's just been scaled down and perfected in his knives with thinner blade stock. The thing that I love about Chris' net output is his consistency in tapered tangs .. nice THIN tapers on just about every knife he creates. There's also flawless fit & finish, great blade grinds/geometry, bevels that are even side to side and super sharp edges. I haven't sat down and written out a list but I feel like there's a checklist of attributes in my head/gut that I've developed when it comes to custom knives. 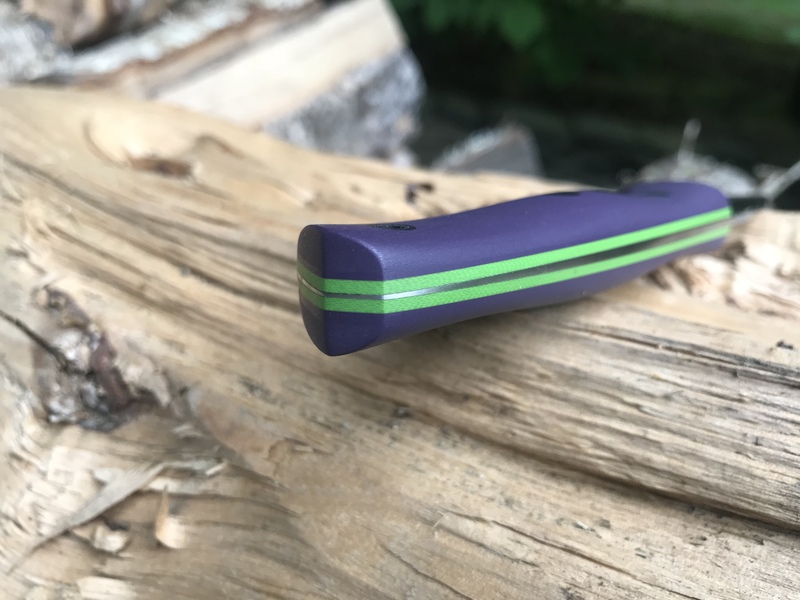 If I'm going to spend $300 or upwards on a custom knife, the number of boxes checked ends up making a difference between "Wow, this is just an amazing custom knife! But mmmm it would be cool if it had a taper, or a thinner taper, or maybe thinner stock or ... " vs "Wow, I couldn't be happier with this flippin thing! There's not another bell or whistle that I could ask for!" The latter reaction is how I know the mail call will go down when I'm about to click "Purchase" on a Dealer site or "Post Reply" to an OKT sale thread. I don't want to apologize for rambling on but Chris asked why we like thin 3/32 with a tapered tang and I think it goes beyond that. 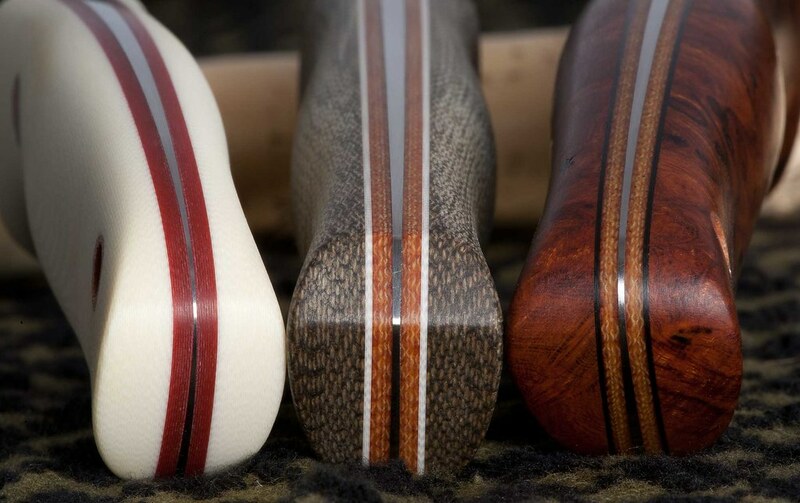 Chris' tapering on all different blade stock sizes is just not something to be overlooked. Depending on type of USE, its going to make a difference on what blade stock makes sense. If I were to sit down to feathersticking, I'm not sure I'd want a 1/16" blade (or 3/32") for that or my thumb might hate me. However, for 95% of my use I'm doing basic, non-repetitive things or food prep and that's where a lighter weight knife is more pleasant for carrying and where a nice thin blade helps with both weight reduction and slicing ability. And contrary to what @Orion jokes about with me once in a while, I don't live in an apple orchard but ... a simple example is an apple. Does the blade slice through the apple or do you have to exert effort to get it to go through and then it ends up splitting it apart instead of cutting it? This could apply to carrots or other things also. And that's why I LOVE the 3/32" stock as a typical go-to. Now, bring on the 1/16". Boooyah!! Besides my blabbing, I'd love to post some comparison and balance point pics but I'm away from the house for a few days so it could be a bit before I can do that. In the meantime, here is some Mamushi (top) and Shrike (bottom) booty! Bmurray, varga49, M4Super90 and 4 others like this. Bmurray, Warrior108, varga49 and 1 other person like this. I'm so glad that this 3/32" TT Warthog fell into my lap when it did. Super skinny, super contoured, super sharp, super cool. Warrior108, varga49 and Osprey Knife & Tool like this. Chris - the 3/32 tapered tang is fantastic. I'm a huge fan of thin steels, and strongly oppose the gravitation towards big, thick, "survival" knives that don't perform! After extensive use in the bush using two knives that feature Chris' CPM 154 at 3/32 with tapered tang, I highly recommend this configuration. I'll be sure to get some pics up of mine soon! Warrior108 and Osprey Knife & Tool like this. reduces weight making these lighter knives feel very nimble and fast handling. Mini Mamushi, Guardless Warthog and Trail Hand. mb>, burnside, jackal_727 and 5 others like this. Love thin stock and tapered tangs. Osprey Knife & Tool, Coach23, Warrior108 and 1 other person like this.